In 2008 Margot was one of a 1000 people to be invited by the Australian government to the 20/20 Summit in Canberra. Margot once shared a podium with Hilary Clinton and Queen Rania of Jordan for a global webcast out of New York. Margot has been chosen as one of 500 social revolutionaries – including the Dalai Lama and Eckhart Tolle to appear in a global documentary titled “Stand In My Shoes” a film to launch an empathy revolution. Margot has written six books on strategic leadership during times of rapid change. In her first major consulting assignment (which resulted in the client being named the world benchmark), Margot led 16 men in aluminium dinghys from Innamincka (in the heart of Australia) down the flood waters of Cooper’s Creek into Lake Eyre, as a leadership development exercise. Margot has represented Australia at World Economic Events all around the world. For the first three years of her career, Margot ran the Darwin Family Centre, which provides the majority of childcare and family support for the top end of Australia. Often deemed a miracle worker by her clients, Margot is a pioneer in her field. She is creative, visionary and intuitive – using these qualities to assist people in bridging the tremendous gap between the mechanistic ways of business of the past, and the new paradigms for business in the future. At the core of Margot’s work is the compelling connection between a leader’s personal inner journeys, their ability to drive levels of corporate success and their ability to profoundly influence the wellbeing of their wider communities. 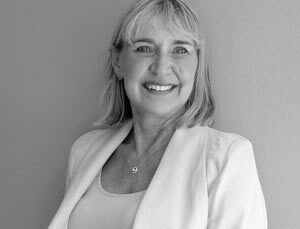 Margot is highly regarded and respected as an inspirational mentor, advisor and partner to Boards and CEOs of multinational companies. She addresses crucial strategic issues in people, management and leadership to devise whole organisation transformation projects. Margot works with people bringing alignment, heart, authenticity and strength in an ever changing world.